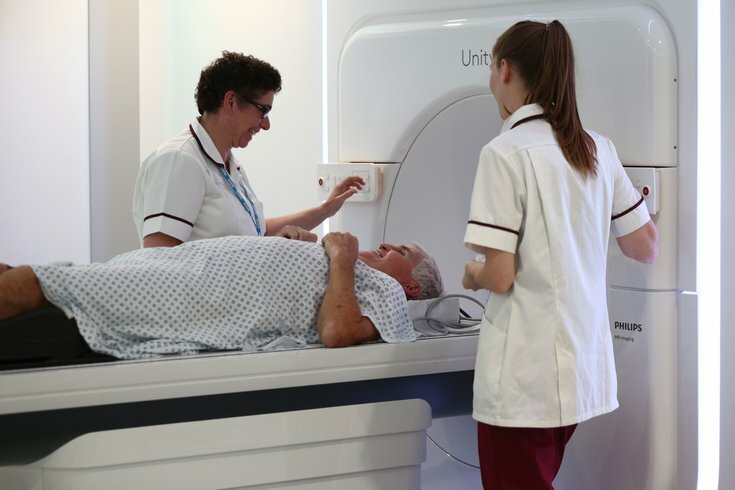 Radiographers Trina Herbert (left), and Gillian Smith help prostate cancer patient Barry Dolling, aged 65, from England, after treatment using a Magnetic Resonance Linear Accelerator (MR Linac) machine, at the Royal Marsden Hospital in Sutton Surrey. A groundbreaking breast cancer study released last spring found that 70 percent of women with early-stage invasive breast cancer could safely avoid chemotherapy treatment. Instead, they only needed hormone treatments. "That probably affects tens of thousands of women in the United States every year," said Dr. Lawrence Shulman, deputy director for clinical services at Penn Medicine's Abramson Cancer Center. Naturally, the news made national headlines. The National Comprehensive Cancer Network, a suburban Philadelphia-based consortium charged with updating clinical practice guidelines for every major form of cancer, sprung into action. Within weeks of the study, the NCCN reissued breast cancer guidelines, providing health care providers across the country with the latest treatment recommendations. The organization – headquartered in Plymouth Meeting, Montgomery County – plays a critical role in ensuring that oncology patients receive optimal treatment no matter where they are treated. "If somebody comes into my office with breast cancer and we need to decide a treatment plan, we need to decide based on the information we know today – which may or may not be definitive," Shulman said. "But we still have to make a decision and the guidelines help us make a decision." Dr. Lawrence Shulman is the deputy director for clinical services at Penn Medicine's Abramson Cancer Center. Founded in 1995, the NCCN comprises 28 academic cancer centers across the United States, including the Abramson Cancer Center and Temple University's Health Care's Fox Chase Cancer Center. Experts from those institutions work together to determine the best way to treat and manage the cancers responsible for 97 percent of all cancer diagnoses. The NCCN's myriad guidelines are determined by multidisciplinary panels that review all the latest data and medical literature available on the form of cancer under their purview. Their scope includes everything from preventative measures to treatment options to survivorship standards. Each set of cancer guidelines is updated at least once a year, but it's not unusual for guidelines to be updated several times annually. Last year, guidelines for lung cancer treatment underwent six updates; breast cancer guidelines were updated four times. "The idea behind the guidelines is to facilitate quality, effective, efficient care that is in line with the best evidence and best clinical practice," said Dr. Crystal Denlinger, chief of Fox Chase's division of gastrointestinal medical oncology. "If you provide guidelines around best clinical practices, patients will have the best possible outcomes." Over the years, research has shown that NCCN guidelines improve patient outcomes. Within the last year, several studies also found that adherence betters quality of life and access to care. One analysis published last year found that following NCCN guidelines improved the outcomes of biliary tract cancer patients. Another found they may reduce socioeconomic disparities in treatment selections for esophageal cancer. Others showed that when following NCCN guidelines for breast cancer and cutaneous melanoma, few metastatic growths go undetected. Plus, the guidelines serve as a universal tool that aids patients everywhere, said Denlinger, who chairs NCCN's survivorship panel and sits on the panel for esophageal and gastric cancers. "You don't necessarily have to live in a city where you have three tertiary care centers to get good care, because the NCCN guidelines are available to all providers," Denlinger said. "If you live in a small town, where there may be a small number of oncologists, they still have the same access to NCCN guidelines." The guidelines are free for anyone to download at NCCN.org. Last year, the NCCN's 73 guidelines were downloaded more than 10 million times – a 26 percent increase from 2017. The breast cancer guidelines – which were updated four times in 2018 – were downloaded more than 600,000 times alone. "We think it's because cancer care is becoming increasingly complicated," said Dr. Robert W. Carlson, the NCCN's chief executive officer. "The average or usual oncology provider needs more backup, more assistance, more information presented in a fashion that can be efficiently ingested to adequately take care of patients with cancer." Dr. 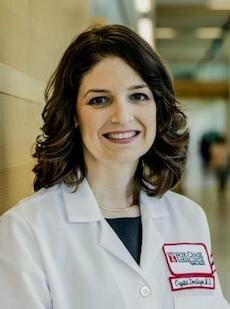 Crystal Denlinger is the chief of the division of gastrointestinal medical oncology at Fox Chase Cancer Center. Other organizations produce cancer treatment guidelines as well. But Carlson said the NCCN sets itself apart by covering the continuum of care, its guidelines covering a multitude of specialties with constant updates. In addition, the NCCN regularly rolls out guidelines for cancers and related issues that previously went uncovered. The newest guidelines cover uveal melanoma, gestational trophoblastic neoplasia, systemic mastocytosis, management of immunotherapy-related toxicities and cancer in people living with HIV. Separate versions of the NCCN guidelines are geared toward patients, with the same information available to providers presented in layman's terms. Those guidelines also received more than 10 million downloads last year. "If you're a patient, in my mind, it provides one of the best resources for understanding what you could expect with a given diagnosis or a given cancer-related issue," Denlinger said. "I think they provide a great resource to walk you through the entire process of the cancer treatment." But the guidelines are not simply used by medical providers and cancer patients. Lawmakers use them to dictate health care policy. Health care payers – including the Centers for Medicare and Medicaid Services, as well as many private insurers – use them to dictate coverage. "Initially, the impetus of the guidelines were to ensure the insurance industry that the academic centers that were members of NCCN would not overtreat patients," Carlson said. "Over the years, that relationship has inverted so that now our guidelines set the standards of what insurance companies will pay for." Shulman, a longtime oncologist, said when an insurance company questions treatment decisions, the conversation ends quickly if the provider can demonstrate the decision was based on the NCCN guidelines. "If it's in the NCCN guidelines, they pay for it," Shulman said. "If it's not in the guidelines, you have to prove to them that there's evidence that supports them paying for that particular treatment. This is another reason why NCCN needs to be up-to-date." 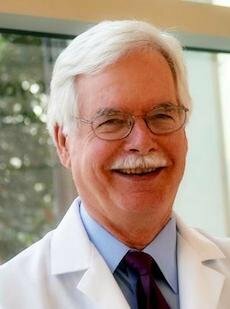 Dr. Robert Carlson, an oncologist at Fox Chase Cancer Center, serves as the chief executive officer of the National Comprehensive Cancer Network. The guidelines have taken hold across the globe, despite a membership composed entirely of U.S. cancer centers. About one-third of all guideline downloads are by international users, Carlson said. The NCCN has adapted many of its guidelines to make them applicable in low- and middle-income countries that lack the abundant medical resources of the United States. It now has 19 so-called "harmonized guidelines" for Sub-Saharan Africa and another seven for the Caribbean. Shulman, who sits on the NCCN's best practices committee, helped establish a cancer treatment program in Rwanda. When setting up that program, Shulman said the country's Ministries of Health already was familiar with the NCCN. 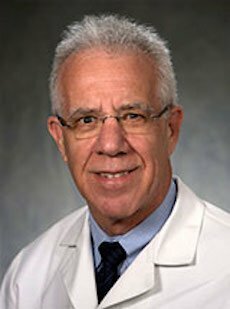 That reputation, as well as the huge number of downloads of the guidelines, demonstrates the important role that the NCCN has taken in shaping cancer care over the last two-plus decades, Shulman said. "This is not a U.S. thing – though all the (NCCN members) are U.S. centers," Shulman said. "This is used by people all over the place."